The Free State Project was founded in 2001 by Jason Sorens, then a Ph.D. student at Yale University. Soren's published an article in The Libertarian Enterprise highlighting the failure of libertarians to elect any candidate to federal office and outlining his ideas for a secessionist movement, calling people to respond to him with interest. Soren's has stated that the movement continues an American tradition of political migration, which includes groups such as Mormon settlers in Utah, Amish religious communities, and the "Jamestown Seventy", an earlier effort to influence the politics of a particular state through deliberate migration. The organization began without a specific state in mind. A systematic review started by narrowing potential states to those with a population of less than 1.5 million, and those where the combined spending in 2000 by the Democratic and Republican parties was less than $5.2 million, the total national spending by the Libertarian Party in that year. Hawaii and Rhode Island were eliminated from this list because of their propensity for centralized government. 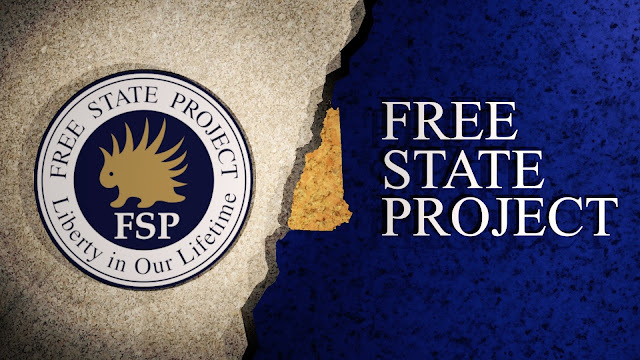 The Free State Project (FSP) is a proposed political migration, founded in 2001, to recruit at least 20,000 libertarians to move to a single low-population state (New Hampshire, selected in 2003) in order to make the state a stronghold for libertarian ideas. The project seeks to overcome the historical ineffectiveness of limited-government activism which they believe was caused by the small number and diffuse population of libertarian activists across the 50 United States and around the world. Participants sign a statement of intent declaring that they intend to move to New Hampshire within five years of the drive reaching 20,000 participants. This statement of intent is intended to function as a form of assurance contract. As of February 3, 2016, 20,000 people have signed this statement of intent —completing the original goal—and 1,909 people are listed as "early movers" to New Hampshire on the FSP website, saying they had made their move prior to the 20,000-participant trigger. Approximately a dozen Free Staters were elected to the New Hampshire House of Representatives in the 2012 election, and about 18 in the 2014 election. The Free State Project is a social movement generally based upon decentralized decision making. The group hosts various events, but most of FSP's activities depend upon volunteers, and no formal plan dictates to participants or movers what their actions should be in New Hampshire.